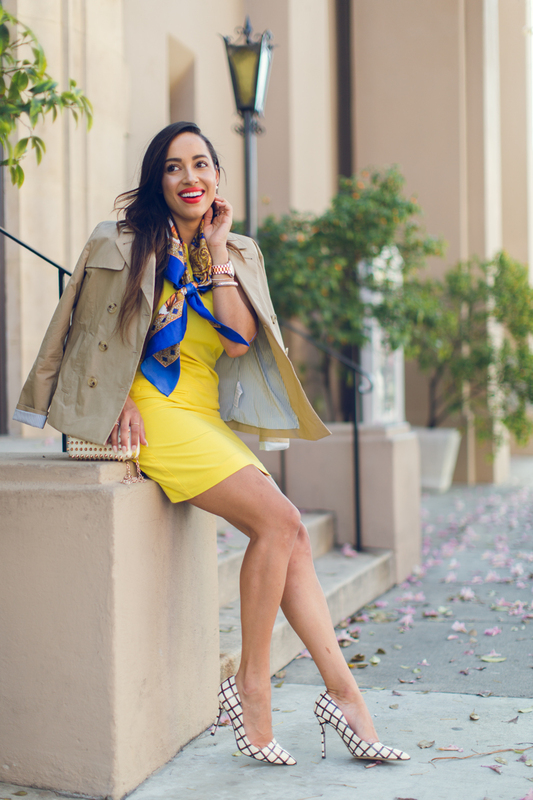 You know how much I love color, so for today’s post I styled my look around this gorgeous vintage scarf. My yellow shift dress paired perfectly with the bold royal blue and the all over chainlink print. I added in printed pumps and a studded clutch for a little extra visual interest. I love this look..so chic!!! Hi! I don't see your adorable dress on the Ann Taylor website and the link on your post isn't working. Is the dress a recent purchase? Hi lady, this dress is a few years old. I will try to update the link with similar styles!